Today we had a a surprise visit from two players from South Shields first team, Jon Shaw and Ursene Mouanda (one of which is a parent of our children). 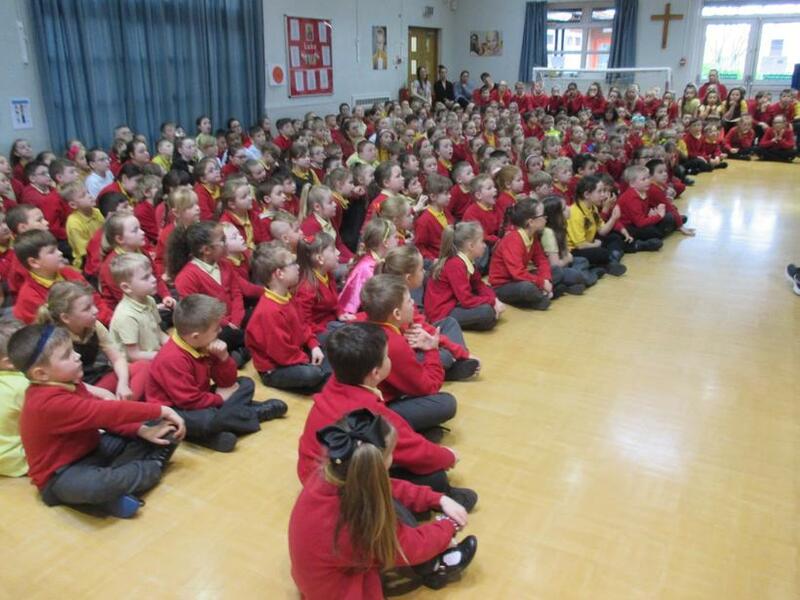 They discussed the importance of play and how we learn best through play and being active at our age. 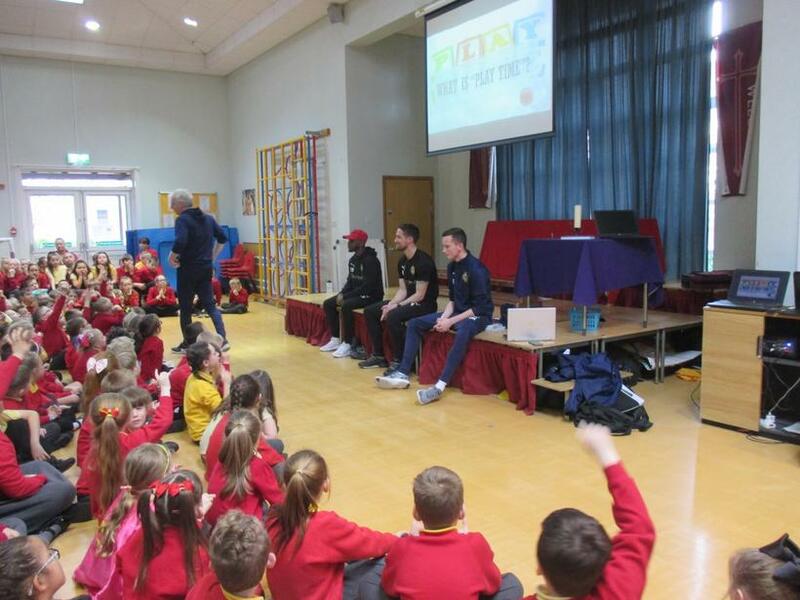 The children were given the opportunity to ask lots of questions where we delved into the life of a footballer, finding out their likes and dislikes and what inspired them to become a sportsman. 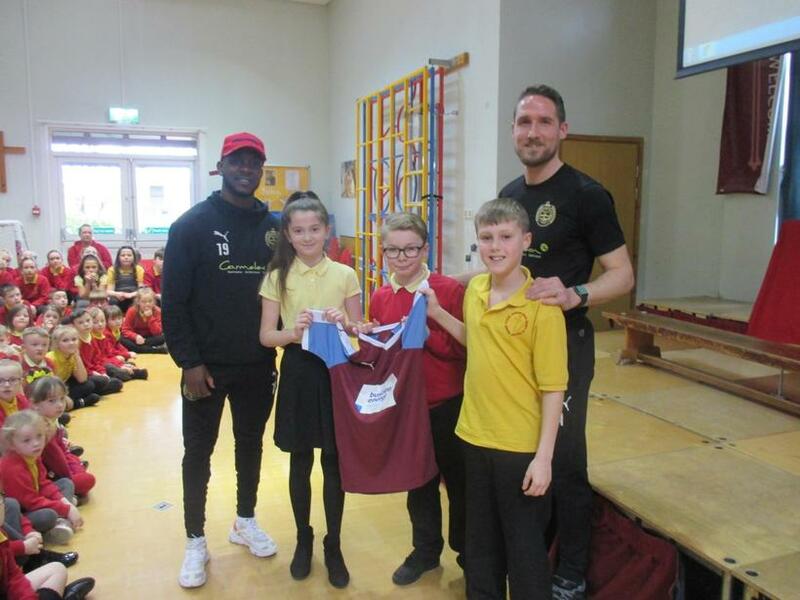 The players presented our Year 6 Sport leaders with a signed South Shields FC football top, donated to our school for our Easter raffle next week! A big thank you to Nathan and Steve from South Shields Foundation for making this morning happen and we look forward to working with them in September.